Have you ever wondered what happens when you die? Does Heaven exist? What does Heaven look like? What is life all about? How do I fill the emptiness in my life? At the age of nine, Pat Bahr was struck down by a car while riding her bicycle across a street. 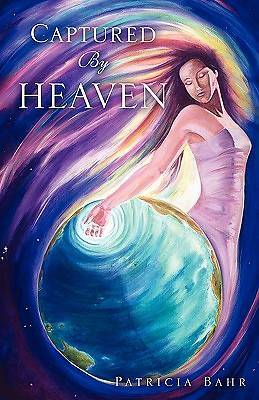 As she moved in and out of consciousness she was taken up into Heaven and her life was changed forever by her near-death experience. In Captured by Heaven, Pat writes in great detail what she experienced in Heaven, the overwhelming love she felt, and her face-to-face encounter with God. She details the insights and secrets she was given for life, her destiny and future, and reveals some of her exploits after returning to earth and living out her life. I've written this book for those who are searching for something more fulfilling, more tangible, more real, in filling the emptiness in life, that they might be awakened to the truth that there is an intimate love and friendship that our Creator God has for you. This is a message of hope for everyone who will risk to be touched by Creator God and be awakened at the very depths of their spirits and souls by His overwhelming love. - Pat Bahr Pat Bahr was profoundly impacted by her near-death experience and focused her life in a career of touching the lives of the terminally ill. Pat started one of the first hospice programs in the United States in San Diego, California during the 1970's and taught conferences to oncology units on grief, death and dying at major hospitals and universities. Pat continued her career for 20 years before becoming a hospital chaplain alongside her husband, DuWayne. Together they are the parents of five grown children and 15 grand-children.